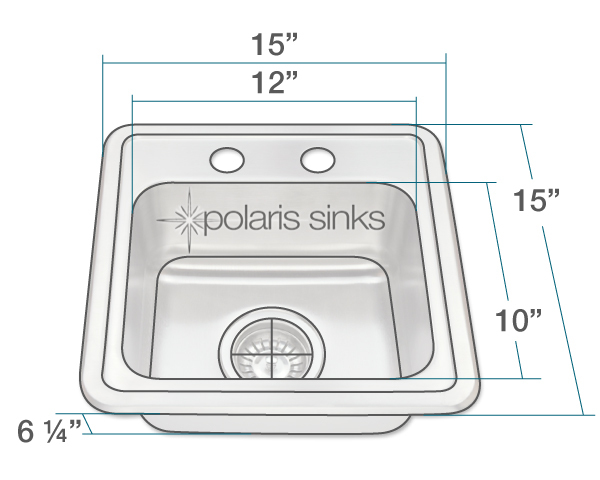 When a small space needs a topmount sink, consider the P5151T Kitchen Ensemble. This beautiful little stainless steel sink comes with a two-hole deck, a centerset drain, and a beautiful brushed-satin finish. 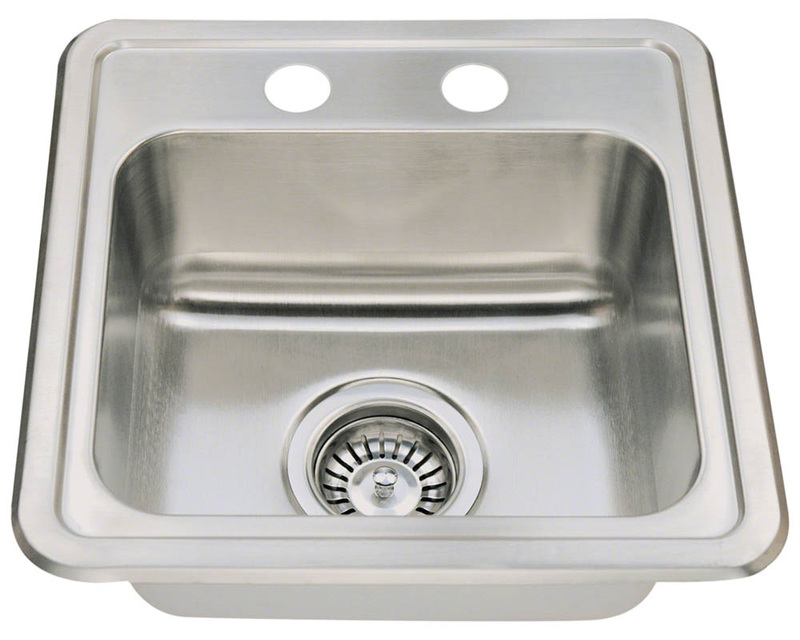 Constructed of 20-gauge, 304-grade cold-rolled steel, this sink offers the utility necessary in limited areas. Condensation is prevented by the full insulation, and noise is reduced by the sound-dampening pads applied to the exterior. The ensemble includes a durable strainer to catch random scraps. A template for installation, all necessary hardware, and the Polaris limited lifetime warranty is included.